Watch Dogs developer and publisher Ubisoft delayed their open-world, action-espionage title last October in what was regarded by many as a good move for the high-profile shooter, later re-announcing a May 27 launch. With no solid release date still, intrigued gamers wonder if Massive Entertainment’s open-world shooter, The Division, will share a similar fate. All things considered, Ubisoft has yet to announce a solid launch time frame thus far, other than “2014”. But with hopes to deliver on ‘unexpected new features and unique innovation‘ in an ambitious, always-online, MMO shooter like The Division, a push back to 2015 would not be surprising. Massive managing director, David Polfeldt, recently told Examiner that the studio takes comfort in knowing Ubisoft’s willingness to make the hard choices and delay a video game project if necessary. “It’s tremendously important for us as a developer studio, to know that the owner and the publisher are ready to take that hit, and [the Watch Dogs delay] was a massive hit,” Polfeldt said. “So for us in the development [side of things], that’s an important message that ultimately the management will back up the goals that we have, which is the game has to be great. Red Storm recently joined forces with Massive to help the studio create an create an ‘authentic arsenal of weapons’ for The Division. Ubisoft Reflections also came to Massive’s aid last February. 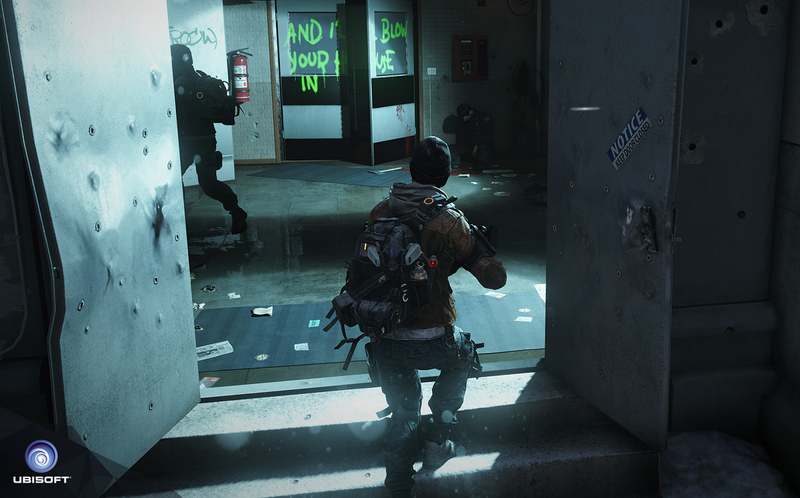 Do you suspect a delayed 2015 launch for Massive’s The Division?